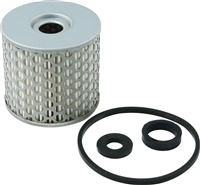 P/N ALL-40251 Replacement fuel filter for the #40251 Fuel filter and the Fram HPG1. 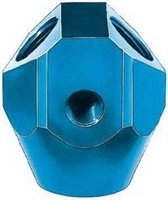 Inline fuel filter with hose clamp. 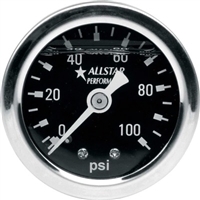 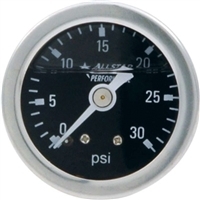 P/N ALL-80204 Gauge is 1-1/2" diameter with stainless steel cases and bezels. 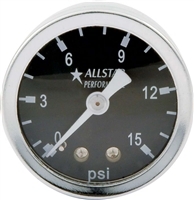 P/N ALL-80202 Gauge is 1-1/2" diameter with stainless steel cases and bezels. 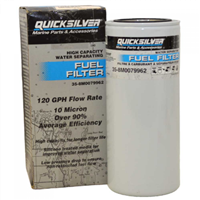 Replacement filter for the Perma-Cool Fuel Filter & Water Separator. 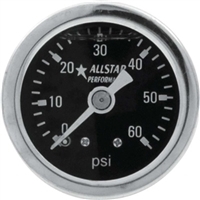 Street/Strip Carbureted Applications Two Port Adjustable from 4.5 to 9 PSI. 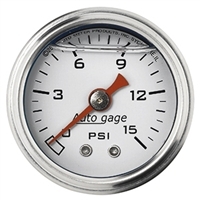 Auto Meter Liquid Filled Mechanical Fuel Gauge. 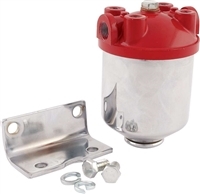 High Performance Fuel Filter Head flows up to 5 G.P.M.